It, uh...it appears a whole bunch of mobile gamers love them some rasslin'. WWE SuperCard has broken all previous 2K sales records in one week, exceeding 1.5 million downloads the first week it was available. That's a lot of downloads. This makes it, as 2K notes, the most successful WWE-branded casual game to have been launched by WWE or 2K, for that matter, on a mobile device. Looks like a whole lot of you really like wrestling. There are some other surprising stats culled from the launch as well, such as the fact that SuperCard players have been logged in for more than 18 million unique sessions, achieved more than 82 victories while playing through Exhibition mode, spent about 15 minutes on average while playing, and created more than 575,000 King of the Ring season-based games. 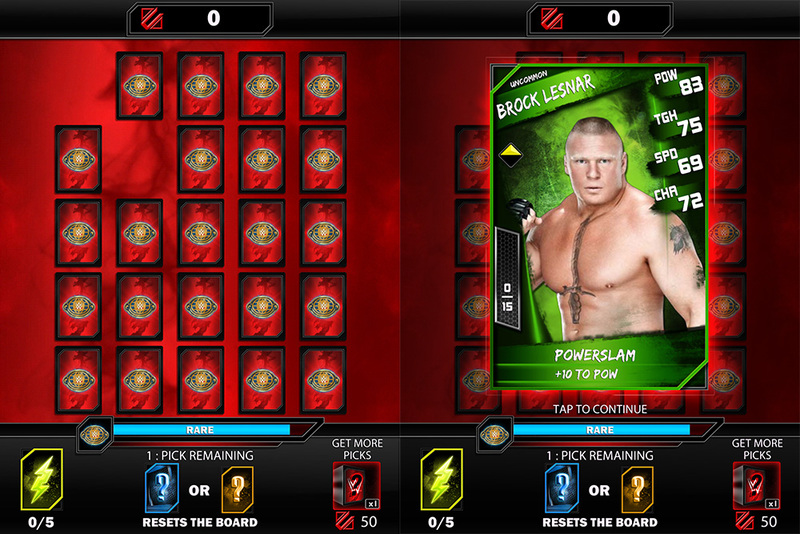 Looks like it's only up from here for WWE SuperCard! Download the game from the App Store or Google Play.